Ron Paul reiterated Tuesday that he did not write a series of newsletters that appeared under his name in the 1980s and 1990s that included controversial comments about African-Americans, including a claim that "[o]rder was only restored in L.A. when it came time for the blacks to pick up their welfare checks." Asked by CBS News and National Journal if the newsletters are fair game on Tuesday in New Hampshire, Paul responded, "I don't know whether fair is the right word." "I mean, it's politics," he continued. "Nobody talked about it for 20 years until they found out that the message of liberty was making progress. And everybody knows I didn't write them, and it's not my sentiment, so it's sort of politics as usual." Writing in The New Republic in 2008, reporter James Kirchick revealed some particularly incendiary passages from the monthly newsletters, which carried names like "Ron Paul's Freedom Report" and the "Ron Paul Political Report." Many of the newsletters, which were mostly written in the first person and usually didn't otherwise carry a byline, were reportedly being held in collections of extreme-right political literature. The newsletters included a criticism of Ronald Reagan for legislation creating a federal holiday in honor of Martin Luther King Jr., who is described as a "world-class philanderer who beat up his paramours" and "seduced underage girls and boys." "We can thank him for our annual Hate Whitey Day," one newsletter said of Reagan, according to Kirchick. The newsletters also claimed that AIDS sufferers "enjoy the attention and pity that comes with being sick," expressed support for and offered advice to the "local militias now training to defend liberty" shortly before the Oklahoma City bombing, and questioned whether the 1993 World Trade Center bombing "was a setup by the Israeli Mossad." Kirchick revisited the newsletters in the Weekly Standard on Tuesday, writing that "Paul's lucrative and decades-long promotion of bigotry and conspiracy theories, for which he has yet to account fully, and his continuing espousal of extremist views...should make him unwelcome at any respectable forum." Kirchick tied the newsletters to Paul's willingness to appear on the radio program of conspiracy theorist Alex Jones, who has reportedly accused the government of encouraging "homosexuality with chemicals so that people don't have children." He noted that Paul seemed open to Jones' suggestion that the military's NORTHCOM combatant command is "taking over" the nation. Paul denied his involvement with the newsletters back in 2008, saying the controversial comments "are not mine and do not represent what I believe or have ever believed." "When I was out of Congress and practicing medicine full-time, a newsletter was published under my name that I did not edit. Several writers contributed to the product," he said. "For over a decade, I have publicly taken moral responsibility for not paying closer attention to what went out under my name." In 2008, the Libertarian magazine Reason (citing libertarian activists, some close to Paul) reported that Paul's chief ghostwriter for the newsletters was one Llewellyn Rockwell, Jr., who was Paul's congressional chief of staff from 1978 to 1982 and a longtime Paul confident and adviser. (Rockwell denies this.) Paul and his wife were officers of Ron Paul & Associates, the now-defunct company that published the newsletters, which reportedly earned Ron Paul & Associates nearly one million dollars over one year, according to a 1993 tax document. Paul, his family and Rockwell were listed as four of the company's 11 employees. Paul's campaign chairman, Jesse Benton, told Hotsheet Tuesday that "We take Ron at [his] word that he did not write" the newsletters. "So have his constituents in Texas," Benton continued. "We do so because everything he has worked and stood for forty years stands anathema to racism. 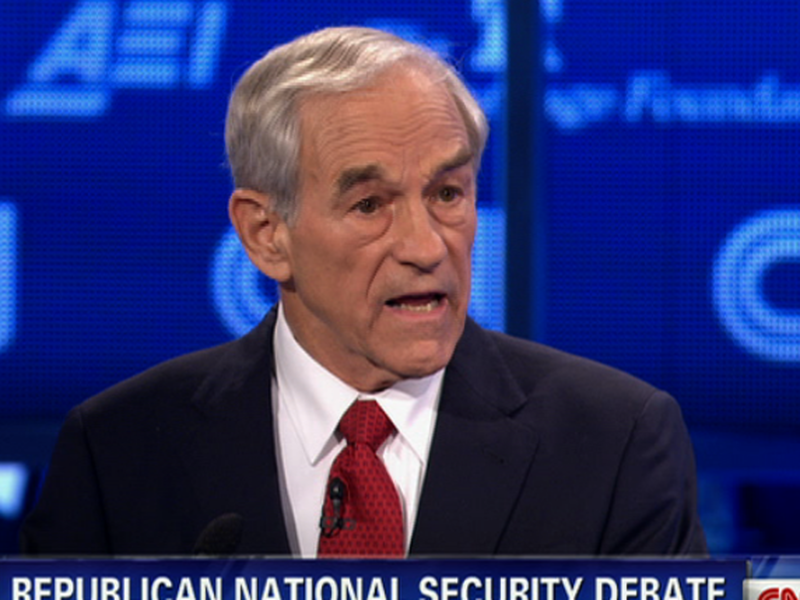 We know that Dr. Paul stands for Liberty for all Americans." Asked if the issue was fair game, Benton responded, "He has answered questions about these newsletters for 20 years, but it is reasonable that he answer them again now." "We are confident that Americans will look to his vast, consistent and principled record, his life [as] a doctor, faithful husband and family man, and accept his answer," he added.